On 10th October Join Us! 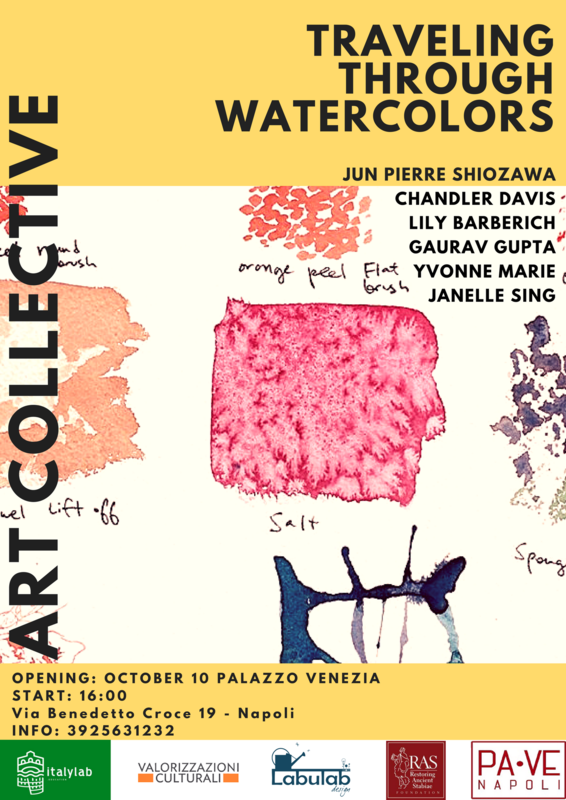 Explore the Art Collective: “Traveling Trhough Watercolor” in the beautiful scenario of Palazzo Venezia in Naples! The Traveling Through Watercolor workshop has been a two week session of exploration of the regions of Stabia and Naples through the art of watercolor painting. All of the participants in the workshop are experiencing the sights, culture and history of this area for the first time and responding through images painted on site and in studio. Organized by Italylab and Valorizzazioni Culturali, the workshop also featured closely guided excursions and expert lectures that further enriched the entire experience. At the end of the two weeks each participant will have a collection of works that capture their experience in such a beautiful, historical place—something that will always be a part of them.